We have selection of lovely self catering holiday cottages in & around Philleigh, Cornwall. The tiny tranquil Cornish village of Philleigh is in superb countryside in the heart of the rural Roseland Peninsula, ideally located for exploring the Peninsula. Whilst only a ten minute drive from the superb beaches around Portscatho and Veryan. 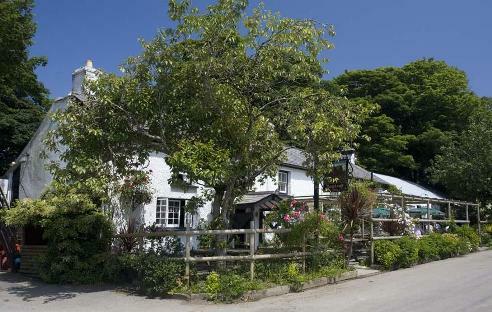 Famous for its sixteenth century pub, The Roseland Inn is just waiting for you to visit for a spot of lunch, or a fabulous dinner next to the roaring fire. Philliegh is rich in farming land, so don't be surprised if you round the corner and find the road full of cows. The D-Day embarkation points at Turnaware Point and the recently renovated Smugglers Cottage, Tolverne are only a short drive from Philleigh. Smugglers Cottage is also a great place for a waterside Cornish cream tea! The King Harry Ferry, a car ferry mere minutes away, offers a short cut to Penryn and Falmouth. With views up and down the River Fal where there are deep water mooring currently housing large car transporters as well as shipping awaiting renovation in Falmouth Docks.